Many of you can agree that sitting through an entire Sunday with your significant other during football season can feel like the longest day of your life... especially when you're in a long distance relationship with no where to run off to. Except the grocery store - where I escaped last Sunday. I completely winged a Buffalo Chicken Dip recipe which happened to turn out AMAZING. 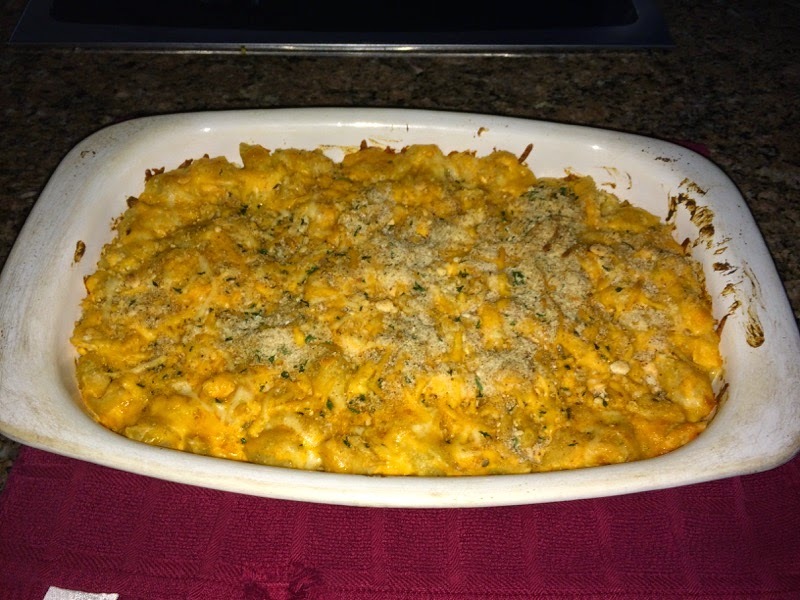 This Sunday, my boyfriend suggested we wing Buffalo Chicken Mac & Cheese. Needless to say, we killed it once again and I highly recommend you try it too! 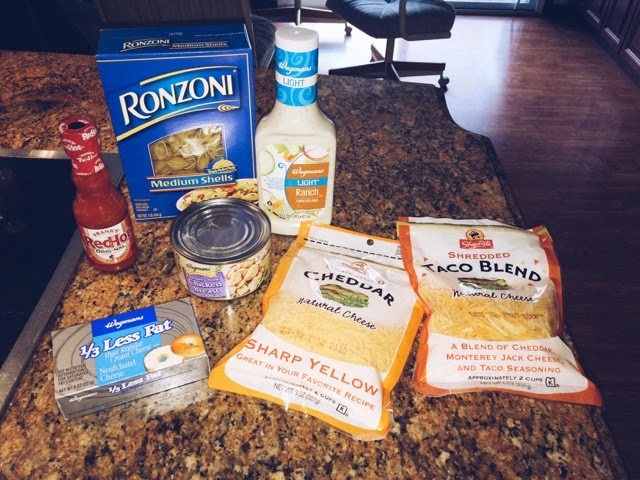 In a large bowl, mix together chicken breast, milk, cream cheese, and both shredded cheeses of choice until creamy. Stir in ranch dressing and hot sauce. Place al dente pasta over mixture in large bowl and toss together. Dump all contents of large bowl into a baking pan coated with cooking spray. Spread mixture out evenly. Sprinkle desired amount of shredded cheese and breadcrumbs over top and bake at 350 degrees for 30 minutes, or until bubbly. Let sit for 3 minutes and enjoy all the compliments. 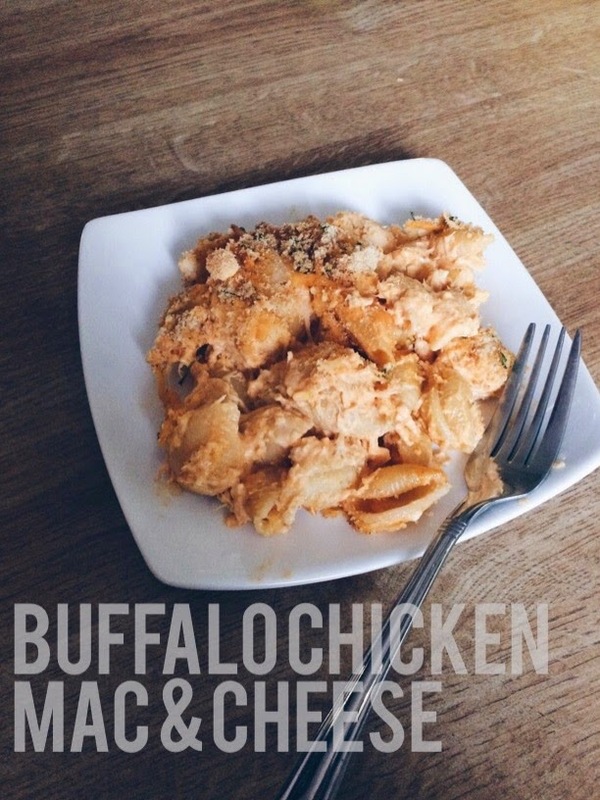 1 comment on "Sunday Buffalo Chicken Mac & Cheese"